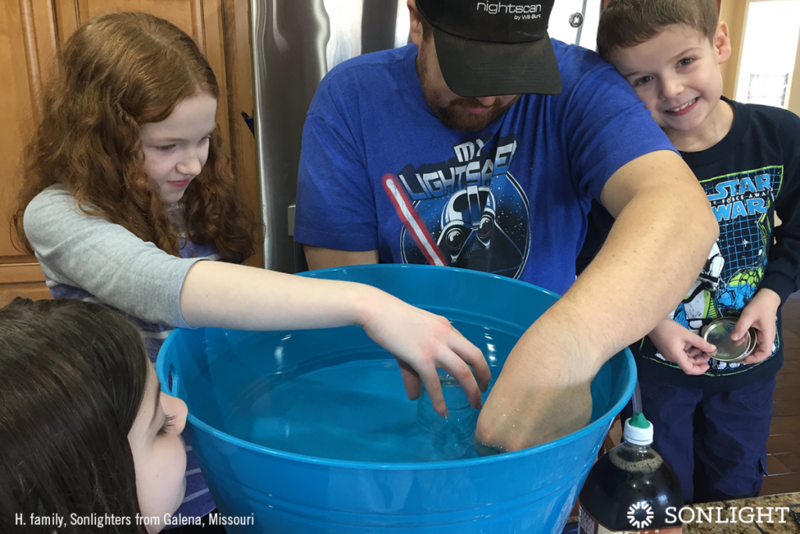 I read this article and wanted to share it with you: 8 Homeschool Science Tips from a Mom Who Skips the Experiments https://blog.sonlight.com/skip-the-experiments.html. I have to admit that at first I was hesitant about Sonlight Science. I have a background in science, and I wanted a program that would inspire my kids to love it as much as I do. Now that I've used Sonlight Science for seven years, I can say with confidence that it's an excellent curriculum! 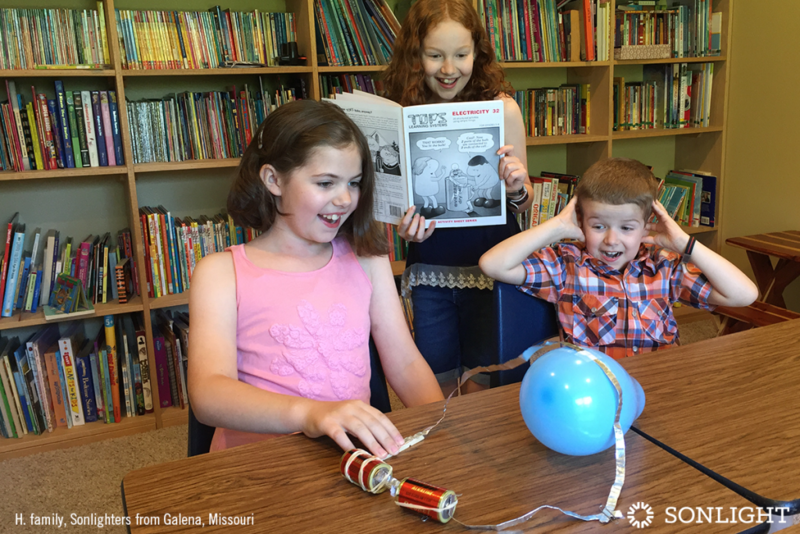 And it works: my kids love Science! 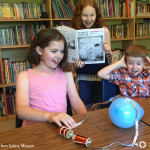 The early elementary years of Sonlight Science are a broad overview that lays a solid foundation. The experiments aren’t too complex but whet my children's appetite for more Science! Each year the curriculum becomes more in depth. This spiral approach offers review but then expands upon each area with more detail. I love having the flexibility to add extras while knowing that the curriculum is complete on its own. I'll admit it. Experiments can seem to take awhile. I am often guilty of pushing back the activities because I don’t think we have enough time to set them up, do them, and then clean up. So I skip the homeschool science experiments scheduled in my curriculum. To make up for skipping the experiments, we schedule periodic Science days. I have found my kids are pretty forgiving about skipping weekly experiments especially when we have that big day of non-stop Science! The hands-on activities foster a love of learning in my kids. So, yes, I skip the science experiments, but then I add them back in later. This method works great for my family! Maybe you don't have a science background. Maybe the mere mention of the topic sends chills down your spine. It really doesn’t have to! You don’t have to be an expert to expose your children to hands-on activities that spark an ongoing interest and possibly inspire a future career! 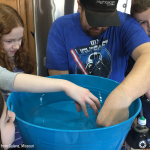 So here are my 8 top tips, coming from a fellow homeschool mom who at first skips the experiments (but gets to them eventually)! 1. Take a breath and have fun—even when it goes wrong. If you are stressed, your children will be stressed, too. Even an experiment that doesn’t go as planned is a chance to learn. Sometimes we even learn more because of a "failed" experiment! Questions like, "What went wrong?" and "What could we have done differently?" can lead to deeper understanding. Learning alongside our children is one of the most rewarding things we can do. So let go of the outcome and enjoy the process of doing Science with your kids. 2. Read through all the steps before starting. Things will go a lot smoother if you don’t miss a step. 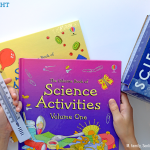 Of course, your Sonlight Science Instructor's Guide and the activity books outline everything for you and make it truly easy to teach science. 3. Gather all materials before you begin. You don’t want to stop in the middle of an activity because you don’t have something you need. 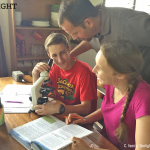 That’s another reason I love Sonlight—the Science Supplies Kits provide almost everything you need. There's no last minute running around to buy supplies! 4. Allow plenty of time. Not all experiments require a big time commitment, but the key here is not feeling rushed. 5. Know that it's okay not to do an experiment every week. It may be easier to follow my lead and have a big Science day every so often and do many experiments all at once. Experiments don’t have to be big and extravagant. Start small, see what sparks an interest, and grow from there. Remember #1: enjoy the time with your kids! Have your students write down what they observe so you can talk about it later. If your children get really excited about something they are learning and want more information, go online. Watching slow motion videos of experiments can be exciting for even the most reluctant learner. I highly recommend the internet quick-links in the Usborne books. They provide games and videos that bring the concepts to life. My kids were mesmerized when they sew how the heart beats, for example, or watched how a bat uses sonar. Younger kids will enjoy participating, too, even if they mainly watch. Older kids can help younger kids do their experiments as a review. And messy Science experiments are perfect inroads for dads to join or lead the learning. I encourage you to stick with it! 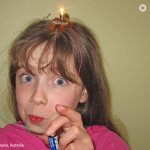 Go into teaching homeschool science with an open mind. It’s okay not to know it all. Don’t be afraid to branch out and learn along with your children. Keep a positive attitude and don’t get discouraged. 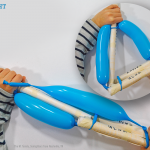 Ready to whet your children's appetites for science? 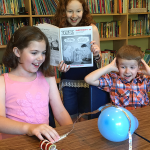 Choose your literature-based, hands-on Science program here. I love this! We often have a big day of science just like you mentioned. It can be hard to add an experiment in the middle of the day because of all the prepping, execution, and clean up. Doing several in one dedicated day takes out a lot of the stress.